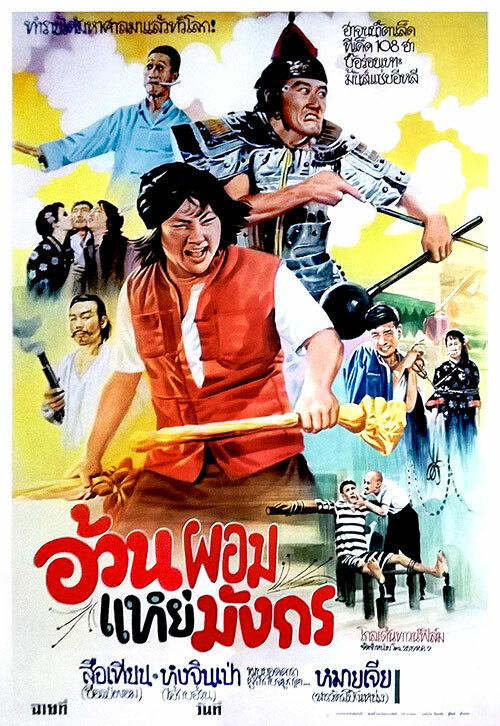 Hong Kong filmmaker Karl Maka directed this historical martial arts comedy, and co-starred as the incompetent sheriff Butcher Wing, who is puzzled at a series of unsolved robberies plaguing the countryside. A flower left at the scene of each crime suggests the handiwork of the infamous Flower Kid (Wu Ma), who robs from the rich and gives to the poor in a device which most Western audiences will be quite familiar. Sheriff Wing can't catch the Flower Kid himself, so he blackmails the dissolute Skinny Gee (Dean Shek) into helping him. Skinny does some legwork and discovers that the crimes aren't really being committed by the Flower Kid at all, but by a heavyset kung-fu expert named Fatso (Sammo Hung). Skinny and Fatso team up and locate the real Flower Kid, who is now a nervous old man. Together, they help the elderly legend get back in shape in order to face the so-called "Golden Killer," Chung Fa-pei (Chung Fat), who was hired by one of the Flower Kid's jilted lovers to seek terminal revenge. Eric Tsang and Lam Ching-ying co-star in this enjoyable old-school action farce. 0 Response to "By Hook or by Crook (1980) Karl Maka"